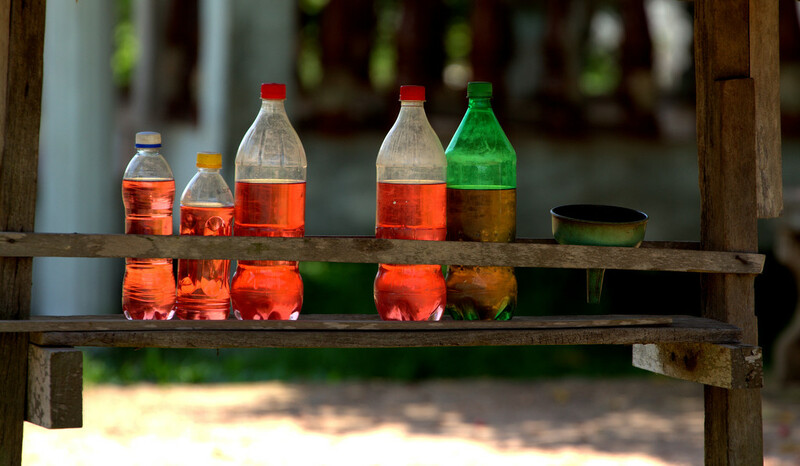 It is nothing unusual to see a roadside stall selling petrol by the litre in old Coca-cola bottles. Goodness, rather scary if it gets into the wrong hands. A wonderful shot of this roadside activity. Wow, is it safe to buy? I the translucent colors of the fuel in the bottles.